We're looking for real characters and people with stories to tell about their Glastonbury experiences. Do they party hard and give the younger kids a run for their money or do they go to experience the more spiritual side of the weekend. If you are that person or know someone specifically who fits that bill send me a reply and we can go from there. Wondering how your task was progressing? 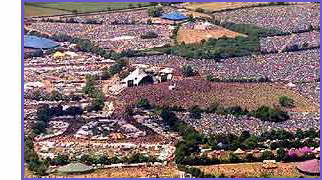 I live in <?xml:namespace prefix = st1 ns = "urn:schemas-microsoft-com:office:smarttags" />Glastonbury and would believe most of your targeted festival goers probably live closer rather than far. From my own experience a lot of festival goers are drawn to the location often settling down. Posts: 1434 We normally have a wee camp of folk from here and anyone is perfectly welcome. Posts: 524 i told u last time glenn - no weeing in camp!!!!!!!!!!!!!!! Posts: 1434 But what if we get caught short? Posts: 1015 Do they not prefer 'vertically challenged'?? 270pp anyone interested get in touch.